Hardwood Twisted Hiker - The twisted hardwood hiker comes in different woods, each with their own unique character. 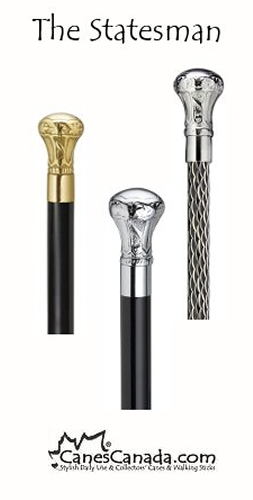 The hiking sticks are individually turned with the unique twist applied, which means there won't be two alike. They come complete with a built in compass, leather wrist strap and durable rubber tip, so they're ready equipped for the avid hiker. 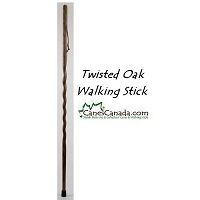 The hardwood of each hiking stick retains the natural heartwood colour of the tree in which it was sourced. Therefore, you will never lose the beautiful natural colours of the hiker to dents or scratches. 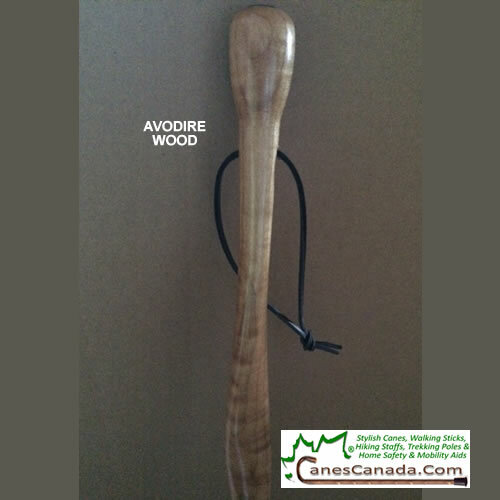 Avodire Exotic Wood - The Avodire exotic wood hiking stick is made from the heartwood of a tree native to Africa. This type of strong and light-weight wood is known as "African Satinwood" due to its naturally lustrous golden yellow surface. 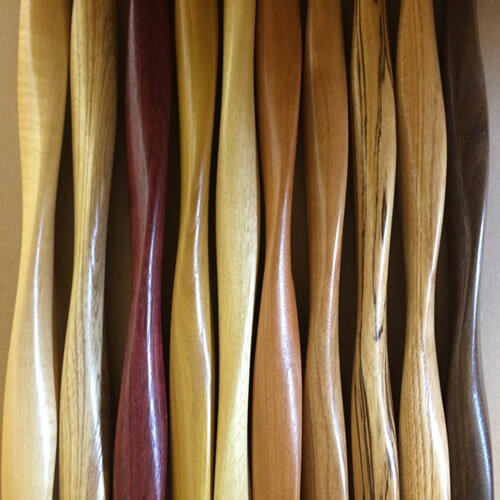 Furthering the uniqueness of this wood, the grain pattern is different for every tree,ranging from rippled to striped. 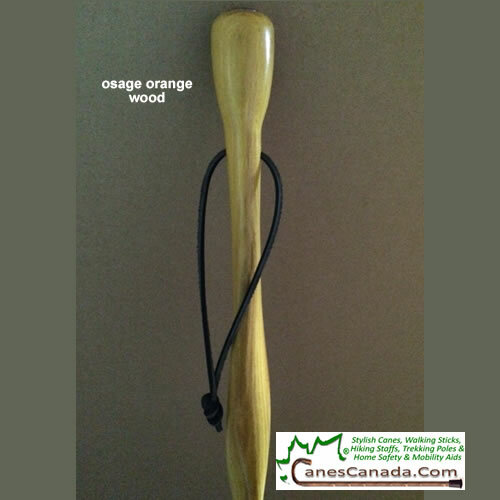 Orange Exotic Wood - The Osage Orange exotic wood hiking stick is made from the heartwood of an Osage orange tree native to Texas. This type of strong and flexible wood is very unique in that it has a natural bright yellow-orange colour. 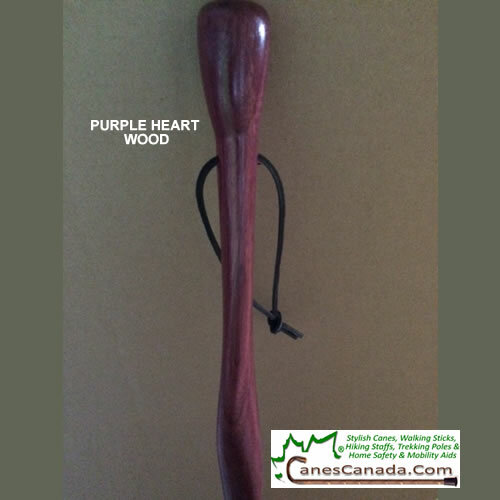 Purpleheart Exotic Wood - The Purple Heart exotic wood hiking stick is made from the heartwood of an plant native to tropical rain forests of Central and South America. 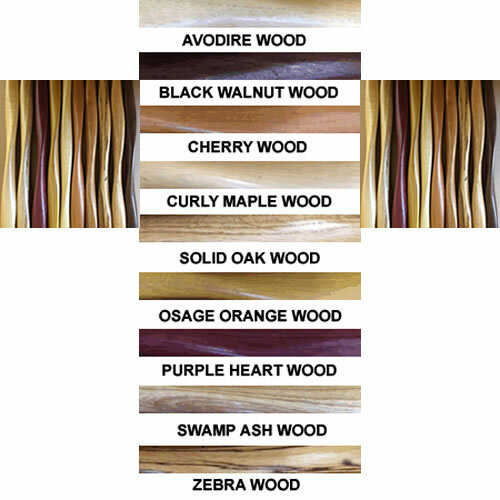 This wood is ranked as one of the hardest and most durable woods, with a unique and natural ability to change from a brown colour to a deep purple color after being cut. 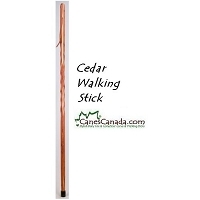 Sapele Exotic Wood - The Sapele exotic wood hiking stick is made from the wood of a Sapele tree native to tropical Africa. The type of wood has a golden to dark reddish-brown colour reminiscent of mahogany. This wood is prized for its durability and its varying distinctive figured grain patterns found within the wood. 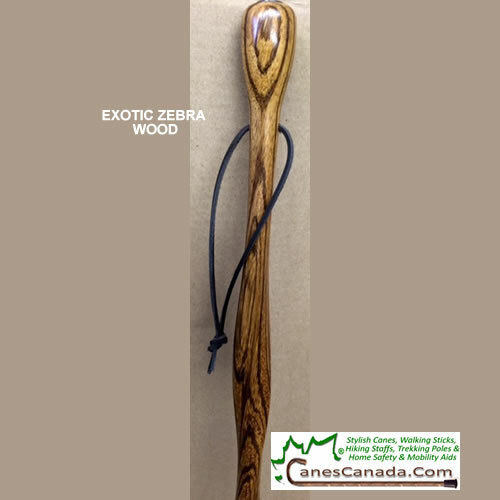 Zebra Exotic Wood - The Zebra exotic wood hiking stick is made from the heartwood of trees native to both Central America and Central Africa. This type of wood contains natural streaks of dark brown or black within its pale golden wood, causing a striped zebra effect. Black Limba Exotic Wood - The Black Limba exotic wood hiking stick is made from the heartwood of a tree native to tropical western Africa. This type of hardwood contains natural dark stripes and is prized for its flexibility and beautifully unique colour. 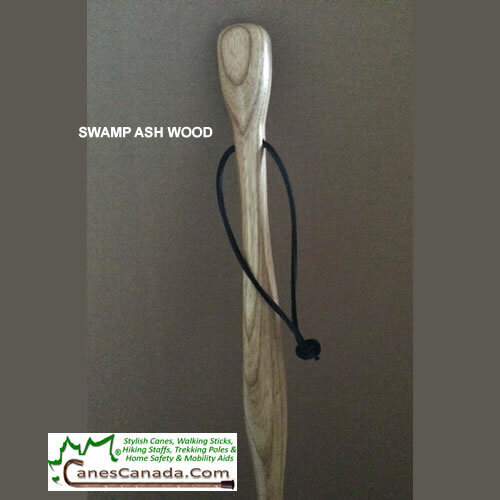 Swamp Ash Wood - The Swamp Ash wood hiking stick is made from the heartwood of an Ash tree native to Europe, Asia and North America. Strength, durability and elasticity are characteristics that give Ash the perfect qualities for a strong and resilient wood product. 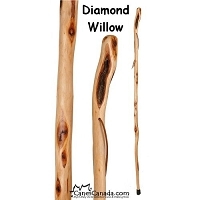 This wood is also very light-weight making it great for hiking sticks. 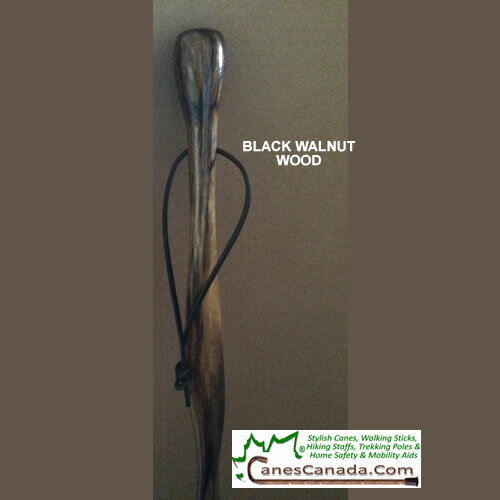 Blackwalnut Wood - The Black Walnut wood hiking stick is made from the hardwood of the Eastern Black Walnut tree native to Eastern North America. This type of wood is prized for being strong as well as having beautifully dark-colored natural heartwood. 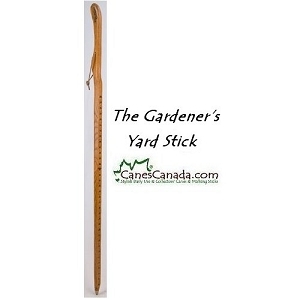 Cherry Wood - The Cherry wood hiking stick is made from the heartwood of a Black Cherry or American Cherry tree native to Eastern North America. This type of wood has a naturally light pink/brown color when freshly cut and is prized for its strength and stability. 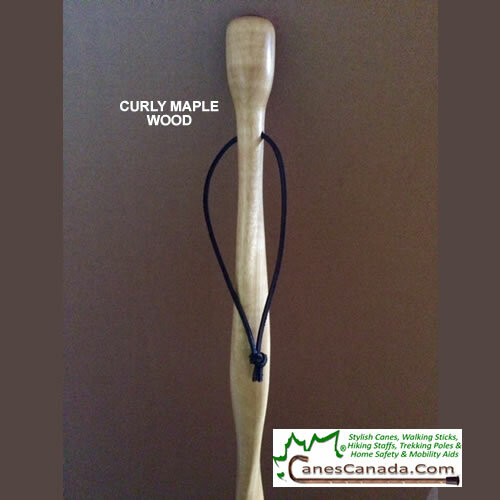 Curly Maple Wood - The Curly Maple wood hiking stick is made from a hard maple wood native to North America. The figured maple wood contains a distinctive grain pattern that appears to be "curled" along the wood. This type of hardwood is prized for its strength and beautifully unique appearance . I am using this 'hiking' stick everyday. I am quite pleased with it. The colour is a lovely reddish purple. I purchased it uncut and my husband cut it to my size. It helps with balance and support while walking. 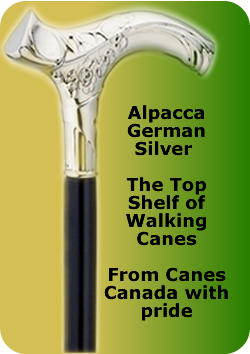 More likely for me to use than a traditional cane. I am very satisfied with the hiking stick. It was a retirement gift for a friend who does a lot of hiking. 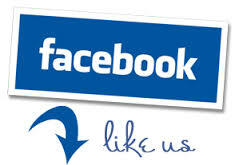 He was really surprised with the quality and will get a lot of enjoyment out it.